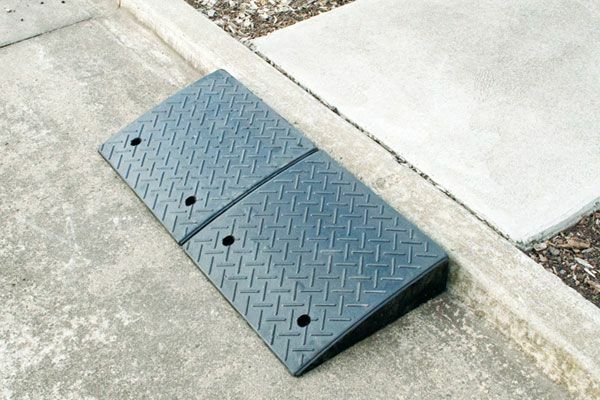 The KR1030 kerb ramp, also known as curb ramp, is a portable, heavy duty moulded rubber ramp suitable for trucks, cars or hand trolleys. 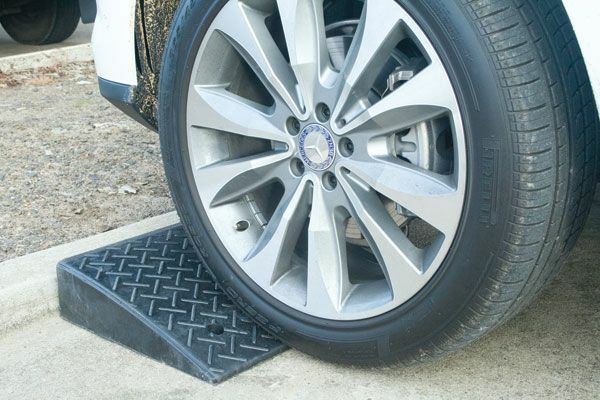 Each unit has two recessed mounting holes for securing the ramp in place, manufactured from durable recycled rubber. 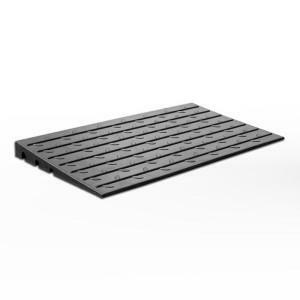 The robust construction incorporates a 12 x 70mm drainage channel. 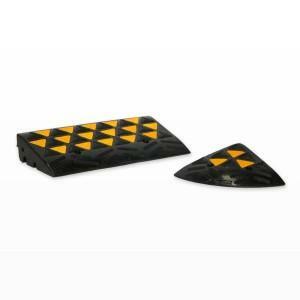 To reveal channel simply trim cover panels from each end with a sharp knife. 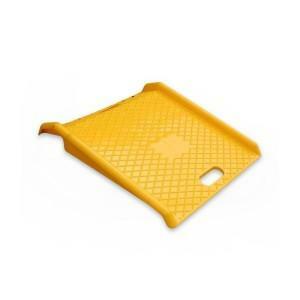 Dimensions 110mm high x 430mm deep x 480mm wide total weight 14.6kgs. 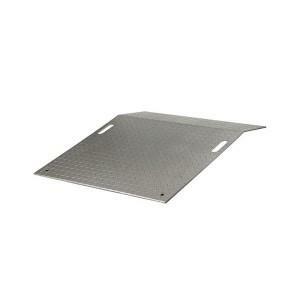 Dimensions 110mm high x 430mm deep x 480mm wide, total weight 14.6kgs. 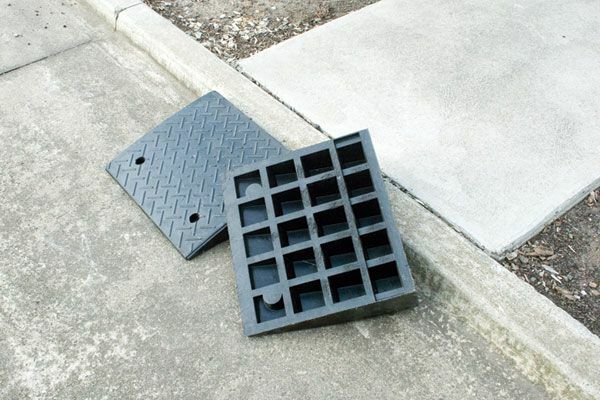 Portable, heavy duty moulded recycled rubber ramp suitable for trucks, cars or hand trolleys. 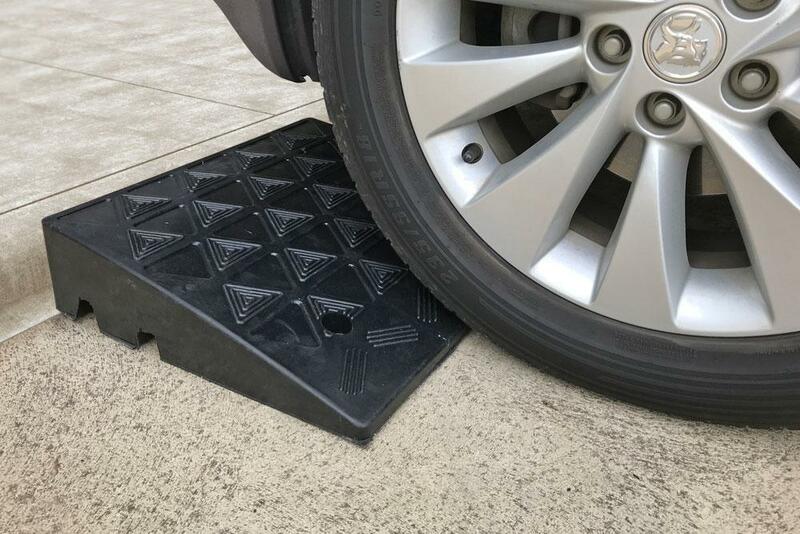 Each unit has two recessed mounting holes for securing the ramp in place. Simply trim cover panels from each end to reveal channel.